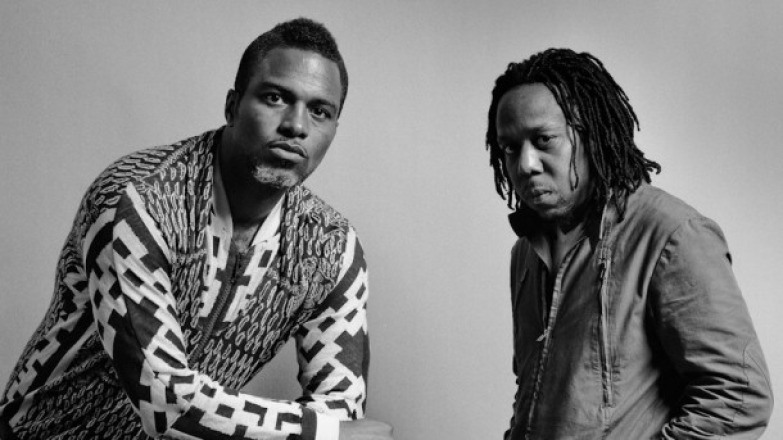 Hip-hop duo Shabazz Palaces have released a new single from their upcoming album Quazarz: Born on a Gangster Star. The album drops July 14 via Sub Pop and the duo recently released a lyric video for “Shine A Light,” feat. Thaddillac. Quazarz: Born on a Gangster Star features appearances from the Strokes’ Julian Casblanacas, Thundercat, Gamble and Huff, and more. New Shabazz "Shine A Light"
I, Quazarz, Born On A Gangster Star, son only of Barbara Dream Caster and Reginald The Dark Hoper – he who rides on light – dreamer of the seventh dream and kissed eternal by Awet the Sun Scented – who far from home I found my same self differents in those constellies that be Dai at my weap-side immediate and all us Water Guild affiliates who revelries in the futures passed recordings and ceremonies flexing resplendent in the Paradise Sportif armor – raising these musics a joy/cry that way into these aquadescentdiamondized ethers of the Migosphere here on Drake world. Welcome To Quazarz.